Let [your gender stereotypes] go! Let it go! Can't hold us back anymore! 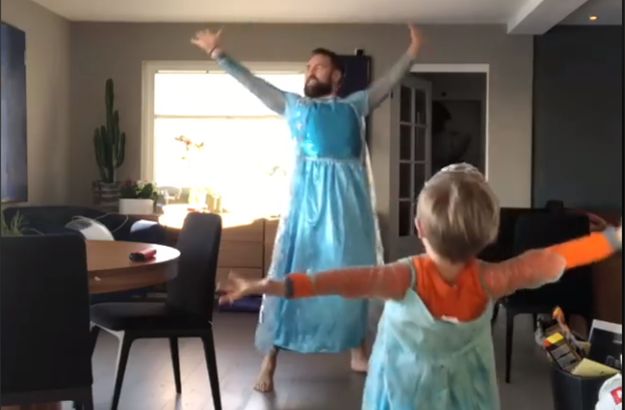 This dad dressed up in an Elsa costume to sing Let It Go with his son, and while some were moved, Piers Morgan, was not. This just in: Piers Morgan just got into yet another row on Twitter, this time with a Norwegian dad after he was hailed the "BEST DAD" by CBS News for dressing up in a Queen Elsa costume to belt out songs with his son. He responded, in true Piers Morgan fashion: "Why does this make him any more ‘BEST DAD’ then [*don’t correct his spelling, don’t correct his spelling, don’t correct his spelling*] one who plays football with his son? Ridiculous." But Orjan Buroe had the best response – one even Piers thought was hilarious: a video of him playing football – in a dress. We totally get why CBS gave him the title and crown – this video is so progressive, so sweet – and the best part is, he wasn’t even trying to be. Orjan later appeared on Piers Morgan’s show, Good Morning Britain to explain that although his son chooses to wear dresses every now and then, it’s about him having the authority to mix it up and be whoever he wants to be. “He’s been Spider-Man, he’s been everything.” And on the video he says he simply thought it would be a great idea to dress up and sing along with him to a song he loves. “And he was just like, ‘We are two superheroes now’,” says Orjan. Piers asked him again why putting on a dress made him a better dad. He didn’t really understand why he felt the need to dress up as Elsa at all, really. He continues that though they dress up and sang Let It Go, they also play football together. “I don’t put labels and [my] children won’t put labels." From what we understand, it’s not about being a male or female, or doing things typically stereotyped and traditionally reserved for boys or girls. It’s about doing what you love, and as far as being inspired by particular characters are concerned, it’s about aspiring to be the good guys and girls – regardless of whether or not their gender is different to yours. Orjan offered to give Piers a costume, but he wasn’t into it. “I’m very much a suit and tie man, and a nice cigar,” he responded. Well, put him in a box and slap a sticker on him, ‘cause this man is fragile. But dads, if you were wondering, Orjan says he got the dress off eBay, and Takealot’s got it for your little ones too. We checked and you’re welcome. Now get out there – let those gender stereotypes go. Do you teach your children about gender and the importance of being respectful of others? How do you encourage them to be their authentic selves, regardless of what others think? 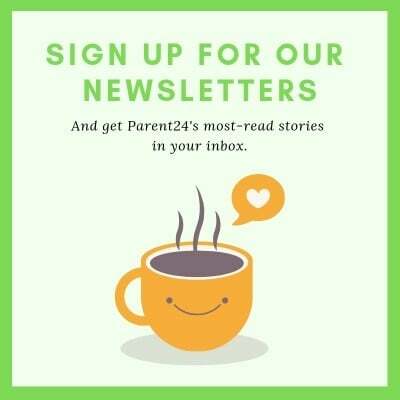 Send us your comments and we could publish them. Do let us know if you'd like to remain anonymous.